The Justice League battles the Fatal Five| (Tharok| Emerald Empress| Validus| Mano and the Persuader). Based on the characters created by Jim Shooter. so they're doing good artwork again. why would your dumbass compare that to anime? Yeah! These are just cartoons! Anime is for real adults. Cartoons and cartoon level art are for children! can i watch this alone or is there 5 movies before it i need to watch first? Finally moved away from the overdone anime/dull color palette rubbish they've been doing for movie after movie. f u and your spoiler. Thanks so much, this is a really good movie. DC Studios should stick at their Cartoons and stop making live animation superhero movies. This show they have talent. No, Disney should stick to cartoons instead. That is the only thing they know how to do. Disney trash sells, what's new. They should just stick to cartoons, and sell even more toys this way. Live animation ? Live action , maybe? Now if only live action movies could have story lines like these. thanks for the upload! BTW anyone saw the stargirl costume for the show? dat sh!t is the bomb! hopefully not too much sjwvagjuice that will drown out the costumes' awesomeness...DC should really stick to the lore of the ACTUAL COMICS COSTUMES (not that darkened sh!t that man of steel uses). stargirl and costume looks visually stunning! 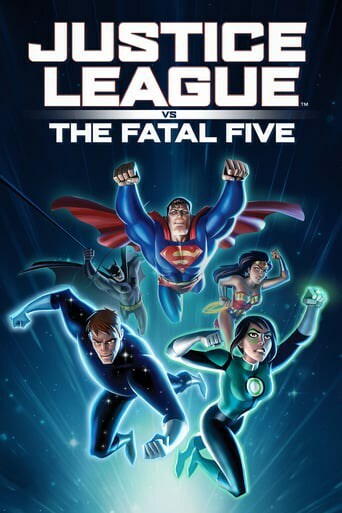 Downloading Seeding Justice.League.vs.the.Fatal.Five.2019.1080p.WEB-DL.DD5.1.H264-FG from to 0 peers.